Playtonic games are the brilliant minds behind 3D platformers Banjo-Kazooie and Donkey Kong Country. 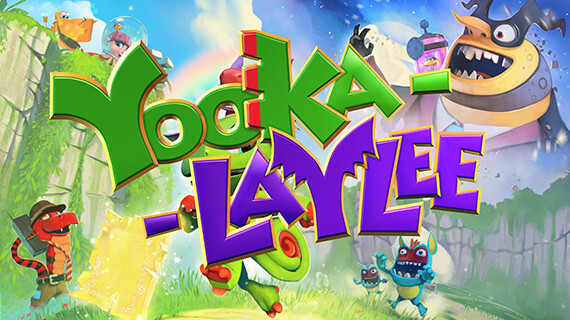 The Yooka-Laylee Kickstarter campaign launched on May 1st 2015 to gain funding for their new project Yooka-Laylee. The project reached its initial crowdfunding campaign goal of £175k within an impressive 38 minutes and it’s highest goal of 1 million in 21 hours. Playtonic was formed in 2014 by veterans of Rare Ltd and combines an experienced team of seven. The Yooka-Laylee Kickstarter campaign had a total of over £2 million, with over 73k backers getting onboard with the team’s 3D platform revival. 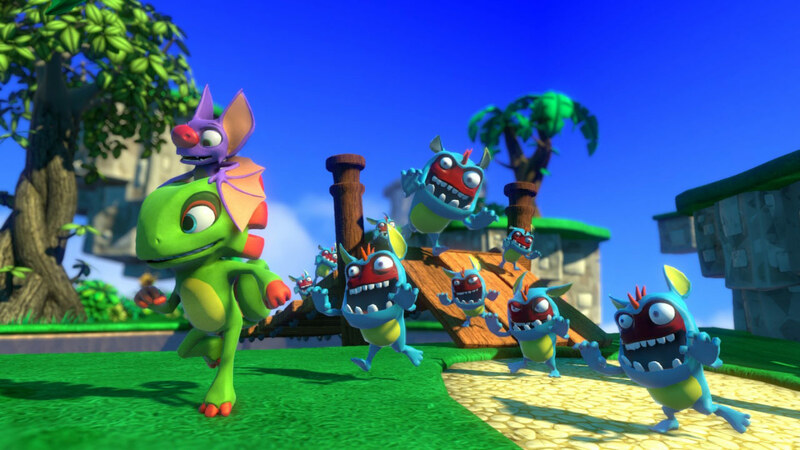 Playtonic described the project and their new game Yooka-Laylee, as the spiritual successor to Banjo-Kazooie, which featured a bear and bird, similar to the make-up of the chameleon Yooka and the bat Laylee. With the launch of the Kickstarter campaign being so successful, I sat down with our blog editor Rob, who initially funded the campaign to ask his reasons why. First things first, what made you want to be a part of the Yooka-Laylee Kickstarter campaign? I was a big fan of the old Rare Ware games such as Banjo-Kazooi and Conker’s Bad Fur Day. So hearing that the original Banjo developers were getting the band back together to make Yooka-Laylee was reason enough for me to back the kickstarter. That and I needed to get my 3D platformer fix which has been years overdue. 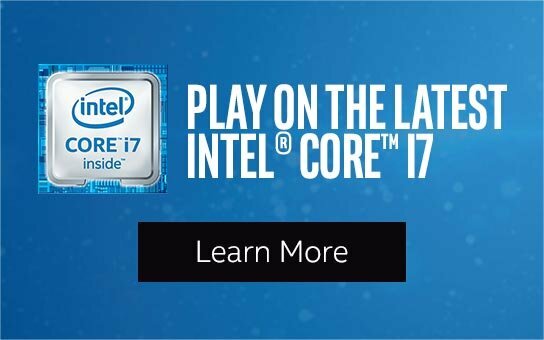 How much did you find out about the game before you supported it? Yooka-Laylee was first announced at a developer session held by Playtonic Games at Rezzed 2015. During that developers session we were introduced to ‘Project Ukulele’ we only saw a couple of screenshots and were told about what elements of gameplay this new title would bring. True, looking back at it it was really not much to go on, but I had faith in the games developers. What benefits do you get by supporting the Yooka-Laylee Kickstarter campaign? 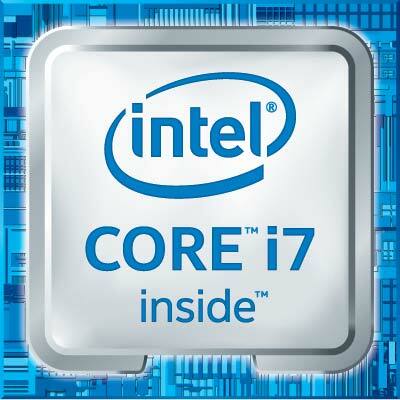 As with all kickstarter campaigns you get more benefits the higher you pledge. I went with the ‘console digital edition’ tier which gave me a digital version of the game for the platform of my choosing (upon release) plus my name in the credits. What was also really cool is that as the Kickstarter campaign grew the developers added stretch goals, which meant that they added more and more to the game the more money they got. Such as a full on orchestral score, new selectable retro skins for the game etc. The last stretch goal allowed DLC that was free to all backers, so it was nice to get that as an added bonus. A while after the campaign finished Playtonic also allowed backers to upgrade their pledge in order to get a physical copy of the game. I jumped on this opportunity as I am a sucker for physical copies of games. What’s your favourite game out of Conker's Bad Fur Day, Banjo-Kazooie and Nuts and Bolts? I have always had a soft spot for the original Banjo-Kazooie. It was the first 3D platformer I ever played and have fond memories of playing it around my best mates house on his N64. We’d lose hours in that game! 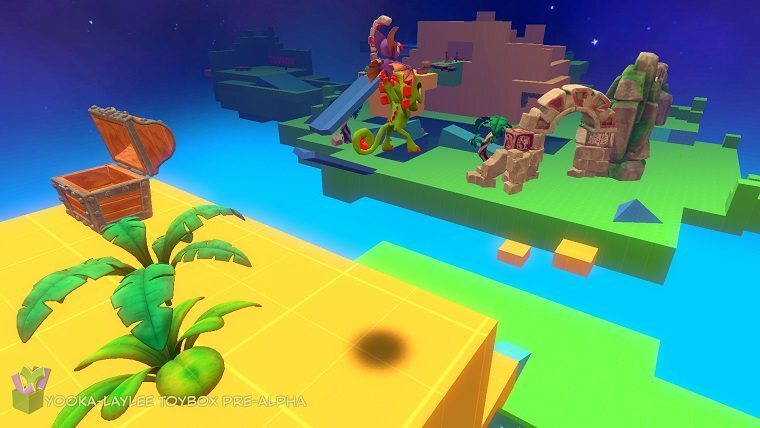 What do you think of the Yooka-Laylee Toy-box demo? The Toy-box demo was a great way to showcase the technology behind Yooka-Laylee, I thoroughly enjoyed trying to get all 100 quills in the sandbox level. As well as giving a great insight into the game's mechanics I also loved the fact they added some great humour in there too. As a lover of Double Fine Production games like Monkey Island and Day of the Tentacle, my favourite Kickstarter game has to be Broken Age, which is also a great example of how Kickstarter campaigns can snowball. Originally the game needed $400k to be created, but they raised that in just over eight hours and went on to make over $3million. It’s crazy really, they got a lot of crap when the game became more than it was originally supposed to be. There was even a documentary that showed the creation from kickstarter success to all the ideas and processes that went into the making. They were very transparent with how the money was used, and although backers didn’t receive the game on time or in the form they thought they would (it was released as two parts), the game was still mesmerising and captured so many wonderful things I love about point and clicks. My favourite Kickstarter campaign would have to be ‘Blades in the Dark’. Its a tabletop roleplaying game by game designer John Harper. He’s well known for making incredibly lightweight and fun roleplaying games. He used Kickstarter to fund his huge new project: A game set in a Dishonoured-esque world where players are a gang of scoundrels and rogues and do jobs and heists to gain reputation and money. The emphasis is on creating a compelling story rather than crunching numbers, and as the game has been in development I’ve watched it get more streamlined and interesting. As a very old human and a person who adores RPGs, when InXile announced they were Kickstarting a spiritual successor to Planescape: Torment I was there. I deliberately didn't check out info as they worked on it, as I wanted to preserve the experience for myself, and I'm so glad I didn't. Having played and completed the game I can say it's not only one of the best games I've Kickstarted, but one of the best RPGs I've played. Almost every conversation and interaction throughout the game is well written, interesting, and twists and turns in unexpected ways. If you love writing and love the written word, then this game is a joy to be in. It also helps that the Numenera setting is incredibly vibrant, rich, and exciting to just exist in. Yooka-Laylee is out on April 11th, you can purchase the PC version from our store now. We got the opportunity to sit down with Andy Robinson, Writer and Comms Director for Playtonic games to ask some questions about Yooka-Laylee and the revival of the 3D platformer genre. Yooka-Laylee is the new 3D platformer arriving April 11th, from the developers behind Banjo-Kazooie. Playtonic Games formed in 2014 as a team of seven to create a new studios to produce the game.